I am very interested in knowing how you produced the “comet” effect above. I see the exposure is 79 seconds, so that set the star trail length, but how did you produce the “effect”? I would definitely welcome the opportunity to be part of your test cadre for the action you developed. I am waiting for the email to finalize my registration so I can participate in your web seminars. 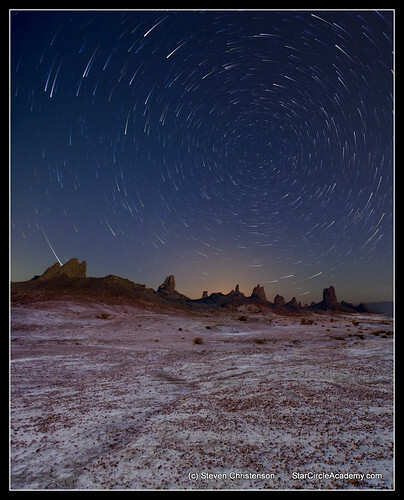 In Brad Goldpaint’s fantastic timelapse video “Within Two Worlds”, he has a sequence where the night sky is filled with stars and then trails accumulate to form the many streaks and circles of a time lapse image. 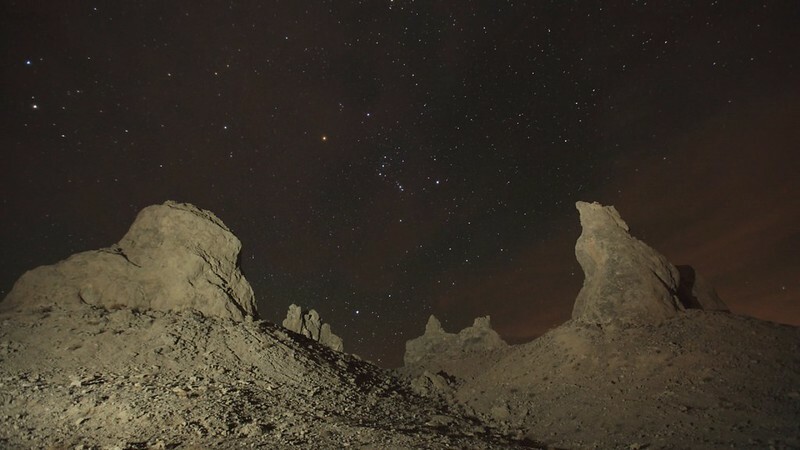 He also has a sequence over Mono Lake where it starts with stars in the sky and then time lapse streaks extend and then catch back up with themselves back to the night sky with stars. If you have the opportunity, I would love to learn how to produce these cool effects. He also has a star comet sequence over Raibow Falls on the John Muir Trail in the Sierras. However I achieve the effect using the Advanced Stacker PLUS. These effects are great for single images, but can they be applied for Time Lapse sequences? I usually do my TL sequences in LR, which doesn’t have the flexibility of PS …. you BrownSky tutorial cant be done in LR as far as I can tell. Does this mean that all TL images have to be put through a PS action first to make them look better, before turning them into the TL sequence? or am I missing something? I added a timelapse video created using the Advanced Stacking Action, above. It uses the comet technique. Your statement “Does this mean that all TL images…” is really broad. It depends on the effect you want, of course. Editing things in Photoshop is not the only way, some timelapse creation methods can do their own “tricks”. Lightroom is very limited in what you can do. You can do parametric edits to single images, apply those edits to multiple images, but Lightroom does not do layering, HDR, nor much of anything else natively. Indeed much of what you might want to do with LR in the way of image manipulation you can find in simplified form in Adobe Camera Raw or ACR + Bridge. If you’re Lightroom constrained, I’d say the answer is yes, you must edit images. If you’re not Lightroom constrained (using say plugins, or external tools like Photoshop, Elements, and more) then more is possible. Applying a “brown removal” level to multiple images is relatively easy with Photoshop actions. Some clever LR person might be able to accomplish something similar in LR but I’m not sure. I have had a “super advanced” stacking action” on the back burner for a while. It ups the ante, but relies, not surprisingly, on Photoshop’s raw power.